This cardiomegaly is different ! . . . It can easily fool us ! By statistics cardiomegaly often implies ventricular enlargement (especially left ventricular) .Right ventricle generally do not enlarge the CT ratio until late stages . The x-ray chest was suggesting a definite LV enlargement. To my surprise the LV was perfectly measuring a normal dimension . 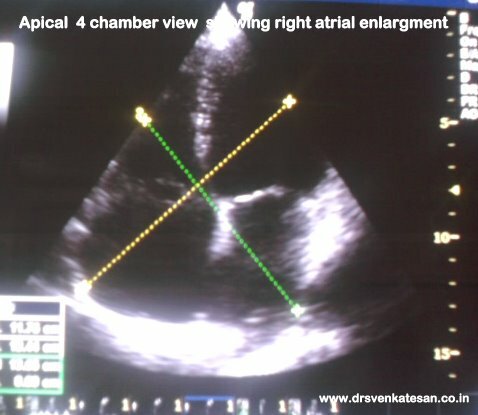 The right atrium was huge and measuring more than 5 cms . This increased the CTR. The following illustration tries to create echo equivalent of transverse CT diameter by rotating apical 4 chamber view by 90 degrees. The right and left atrium was significantly dilated . 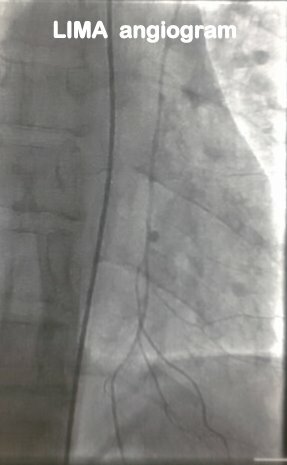 This patient had atrial fibrillation and the atrial enlargement was due to chronic AF. 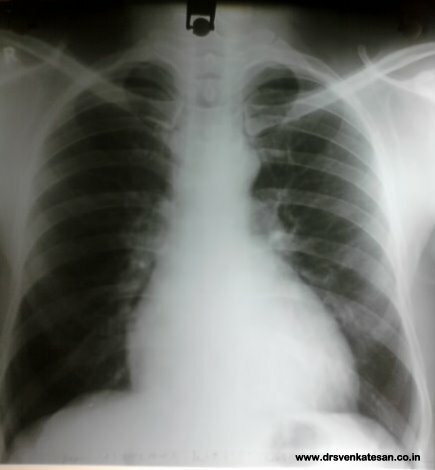 Cardimegaly in X- ray chest do not necessarily mean ventricular enlargement. Pure atrio-megaly especially right atrial enlargement can dramatically increase the CT ratio. This is not a big discovery , still fellows need to reinforce this fact , as mistakes are most often committed in well known things ! We ignored NEJM for many years . . . now let us learn cardiology from Forbes for a change ! What is common in all ? These are the studies which nailed the routine PCI in chronic stable angina . Please note these articles came in prestigious journals more than 5 years ago. Nobody* seemed to listen or learn . Now the Archives of Internal Medicine has come out with another punch to PCI . Hope we refuse to learn again . . . and keep the interventionist spirit high ! I recall the guilty days during my fellowship where many lives were lost due to delayed or faulty intubation in patients with cardiogenic shock. If only these devices were available those days . . . It is ironical , why we took such a long time to make a scope to see a structure just beneath the oral cavity , while we were able to see remote duodenum and jejunum with video scope some 25 years ago ! Another device , which will come as handy would be the rapid bed side measurement of Aortic dimension . It doesn’t require an expertise of a sonographer I believe . Cardiac arrhythmias by nature connote a serious implication ,especially so with ventricular ones. Here is an arrhythmia which arise from the ventricle by excessive automaticity , fires independently , still very benign compared to others ventricular arrhythmias. Why AIVR is a stable arrhytmia ? Primarily due to its low rate. 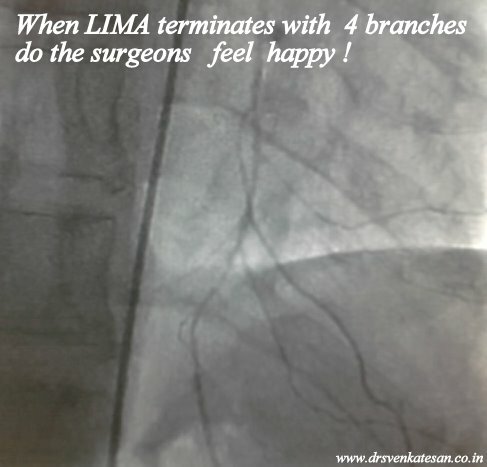 Since it is a reperfusion arrhythmia the outcome is good. Absence in surface ECG does not mean it is not existent. In-fact there is some evidence to call this arrhythmia as a form of ventricular parasystole. Since it is a reperfusion arrhythmia it has to arise somewhere from re-perfused myocardium. The fact that it can occur in both RCA and LCA reperfusion indicate the focus can be in any of the ventricle . 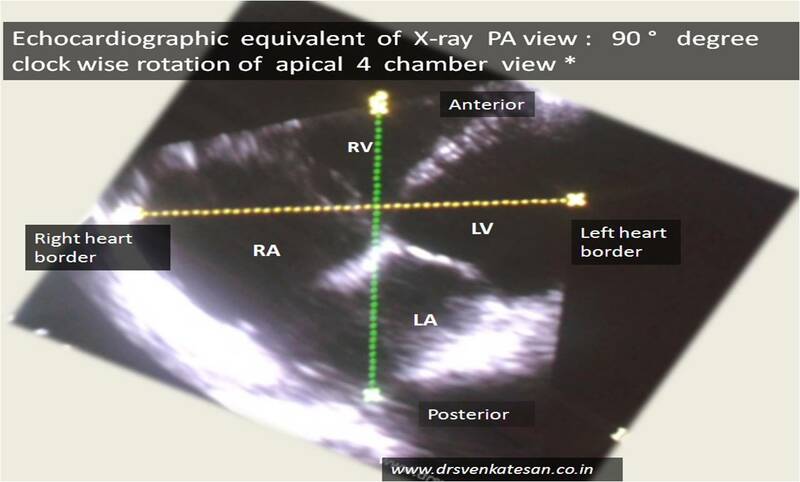 Septal AIVR can have either RBBB or LBB morphology. Usually left axis is noted . How to differentiate it from non sustained VT ? 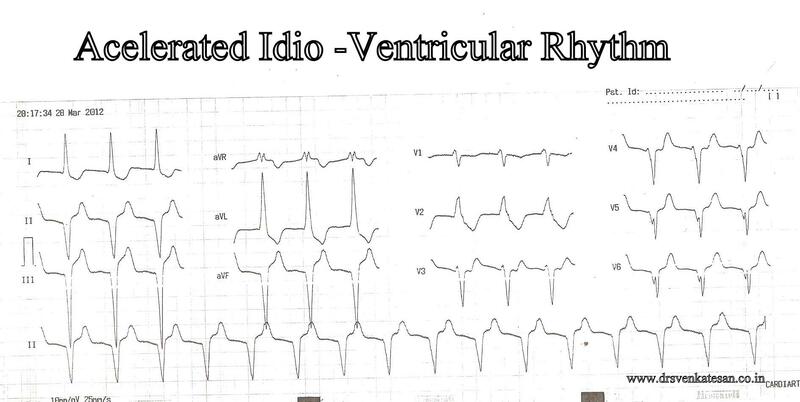 Characteristically AIVR starts with an escape beat rather than an ectopic beat . AIVR is common in RCA or LCA reperfusion ? It is supposed to be more common in infero-posterior MI as sinus slowing is an important predisposing factor for releasing the idio ventricular rhythm. Atropine ,Isoprenaline to increase sinus rate. What will be the PCWP in grade 1 LV diastolic dysfunction ? What will be the pulmonary capillary wedge pressure ( PCWP ) in grade 1 LV diastolic dysfunction ? It depends upon age, LA size and LV function. Are these patients with grade 1 LV diastolic dysfunction are at risk for acute pulmonary congestion at times of stress ? When does this physiology becomes pathology ? As long as the atria is doing its job of assisting the LV without any fuss , the mean pressure of LA(PCWP) is maintained within normal level . Only if the atrial function is stretched beyond the limits , PCWP begins to raise. It can happen in a variety of ways . Most commonly it happens elderly hypertensive /Diabetics especially with LVH . Isolated grade 1 LV diastolic dysfunction in people > 40 years generally do not indicate a serious abnormality. Only if they have DM/HT and myocardial disease they need to be evaluated further. One practical clue is , if LA size is normal one can rule out significant diastolic dysfunction. * In elderly population , when they undergo any major surgery , presence of even grade 1 LV diastolic dysfunction can be a marker for peri -operative LVF and lung congestion .